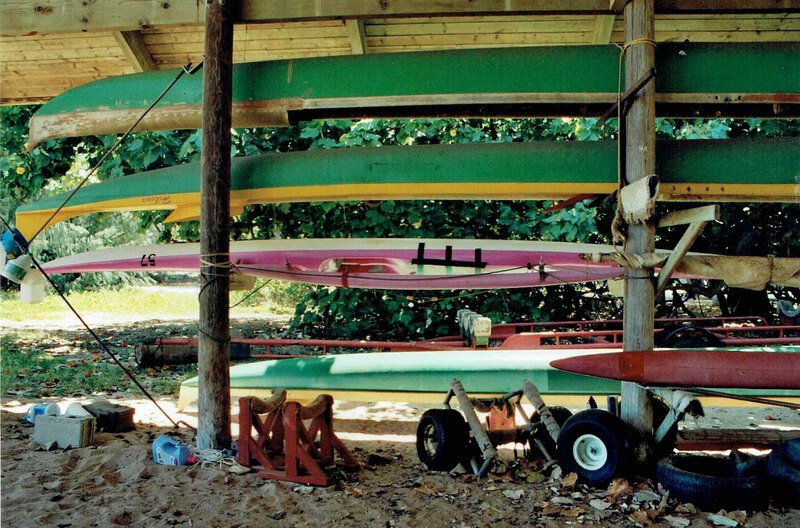 To the Roots of Aloha . . .
E holo ʻoe i Hawai'i e nānā ai i ka ʻāina, i ke kanaka, a me kō laia noho ʻana. 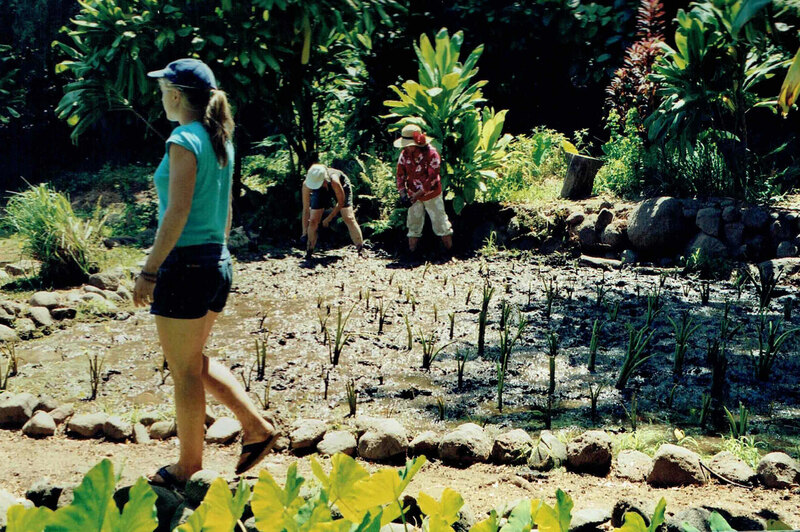 Travel to Hawaii and learn from the land, the people and the local way of living. 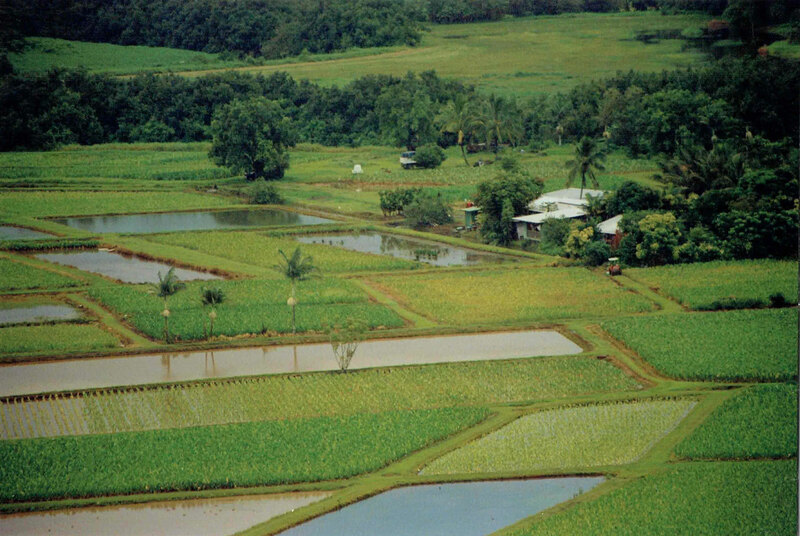 We travel to the taro fields of old Hawaii – places that tell of the connectedness between nature and man, salt and sweet water, ocean and mountain, the old and the young, the water cycle and the chain of generations. 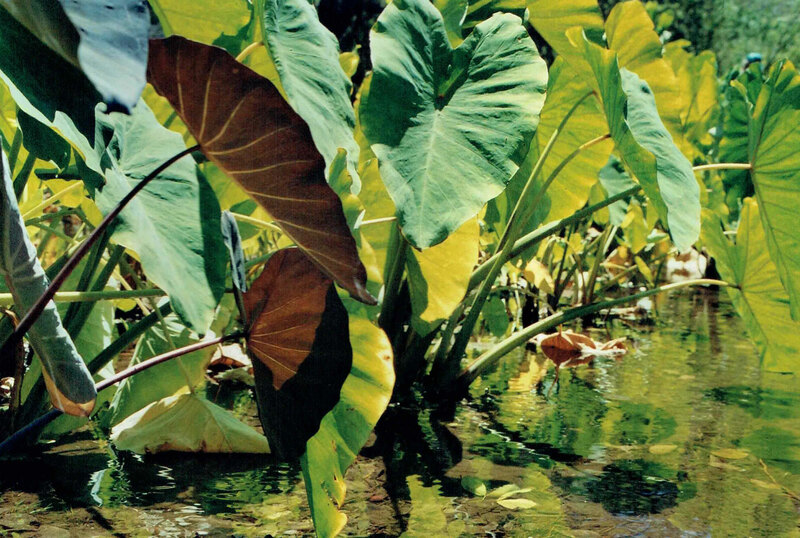 Once the Polynesian navigators, who dared the long journey across the pacific to the Hawaiian islands, brought the taro plant with them in their boats. 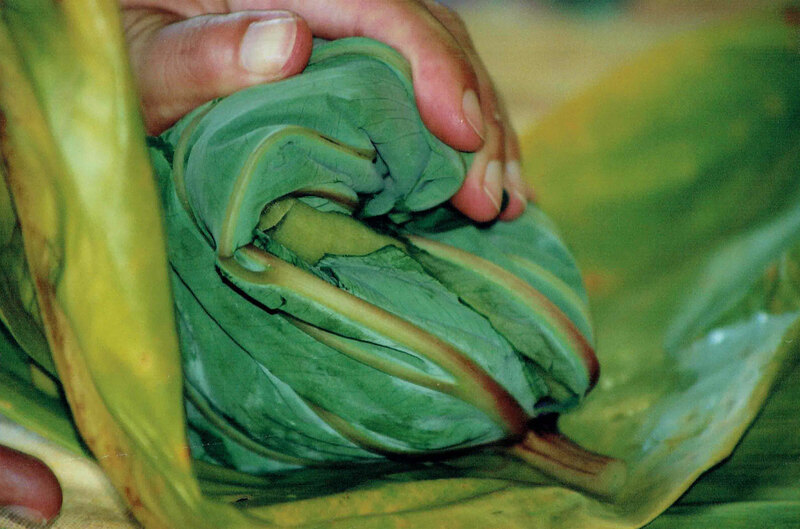 Because of its exceptionally high resilience to natural catastrophies and environmental conditions and its high nutritional value it became the most important food and mythological figure for the following generations. The mythological narration tells us, that Ho’ohokukalani, the mother of man, had a miscarriage. 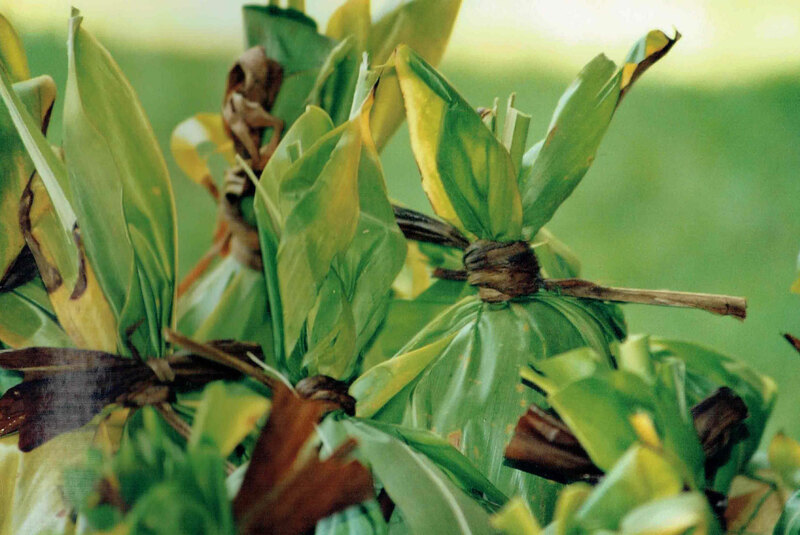 From the earth, where she buried the deformed being, grew the first taro plant: Haloa, „the one with the long stalk", with the leaves that shiver in the wind. 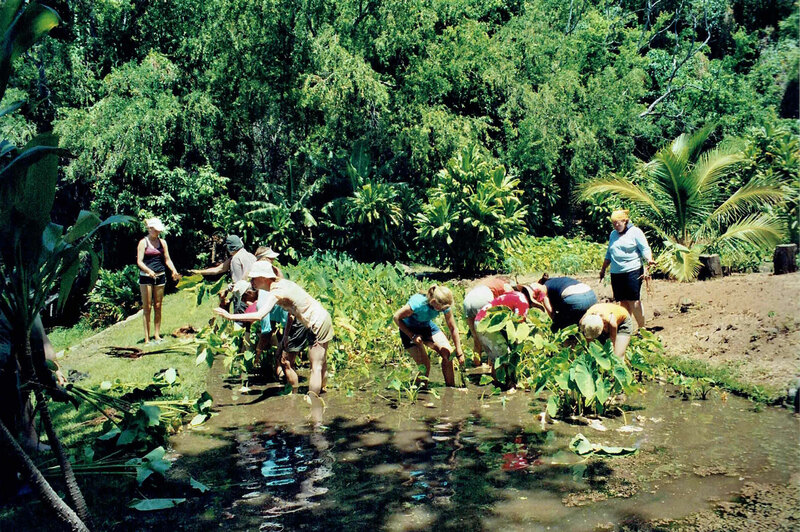 We – far distant from the times of the great navigators – can learn from the taro fields of Hawaii, still: the trembling of the long-breath of Haloa, the coolness of the water and the darkness of the mud, as well as the infinite well-spring of Aloha – the memory of the feet stamping in the mud to loosen the roots of the bulb that connect the mother plant with its progeny and the memory of the hands that put the stalk back into the mud: may it grow a new bulb and new leaves and many many little shoots: Haloa, the first-born and the older brother of us all. For the program, dates and costs: please contact us!